Former dealer, manufacturer and racer Colin Seeley will be celebrating three anniversaries in one – 60 years as a bike dealer, 50 as a manufacturer and 80 as a human being – when he gives a talk on his amazingly-varied career at the National Motorcycle Museum, Solihull, Birmingham, between 3 and 6pm on Thursday, August 25. 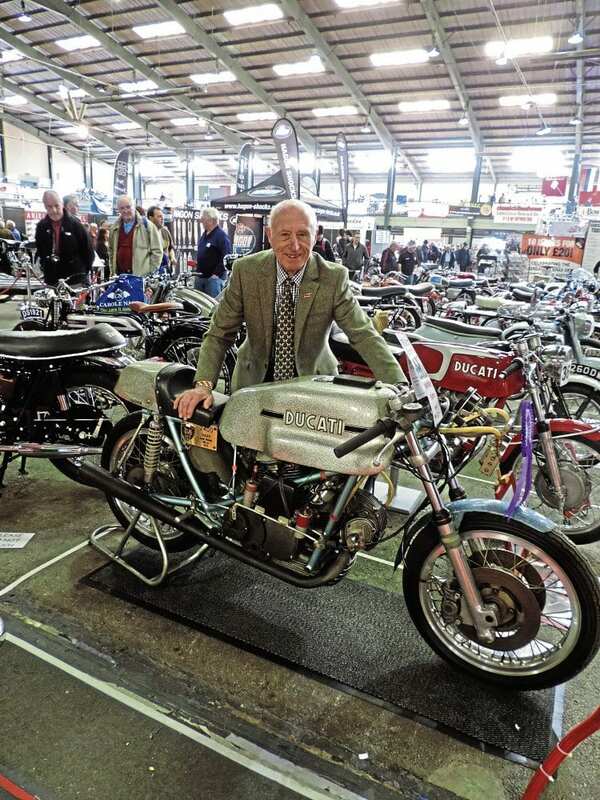 In 1956, at the age of 20, he opened a showroom in Kent, becoming a multi-franchise dealer, and 10 years later, in 1966, he started manufacturing his own frames for racing machines – initially using AJS and Matchless engines but quickly expanding into a wide variety from other manufacturers. Right: Colin Seeley is seen at Stafford with a 1971 500 Grand Prix Ducati in April 2015. He made the frames for works riders Phil Read and Bruno Spaggiari when Ducati made its debut in the big class at GP level.